Blessed Samhain to all of my fans, and readers! Today is my favorite day of the year. It’s Desirée Lee‘s favorite day, too. It’s known to most people as Halloween. We usually refer to it by it’s traditional name of Samhain. For those of you not familiar with the true meaning of the day, please read on. Today has nothing to do with horror, or monsters. Samhain (pronounced Sow-in) was originally a festival celebrating the harvest time, and marking the beginning of the dark half of the year. It’s also a time when the veil between our world, and the spirit world is very thin. This thinning of the veil makes it easier to communicate with otherworldly beings, and makes it easier for those beings to visit our world. 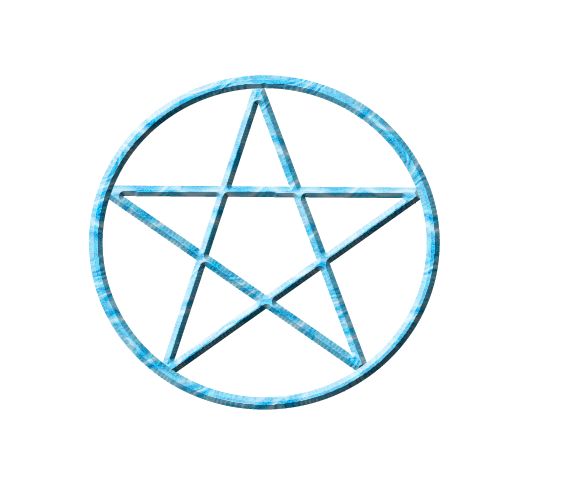 It’s a time of magick and mysticism, fun and revelry. Yes, I know I spelled “magick” above with a “k” at the end. “Magic” is smoke and mirrors, sleight of hand illusion. It’s stage craft. “Magick” is the real thing. It’s the manipulation of energy to obtain a goal. Again, I wish all of my fans and readers a very happy, safe, and Blessed Samhain – regardless of how you celebrate today, and even if you don’t! Umbral Press, the publishing company co-owned by Desiree Lee and myself, is still seeking new submissions from authors. We’re also looking for qualified editors to edit those submissions, and help get them prepared for publication. Prior to the very recent past, Umbral Press was an invite-only publisher. It’s only been in recent weeks that we’ve opened up for anyone to submit to us. Umbral Press is still very small, but we’re looking to grow the company. The more authors we publish, the better. Please see the “Submissions” guidelines on the website for author requirements. Please see the “Contact” page for information on how to apply for a job with us as part of our editorial staff. Umbral Press publishes fiction only. 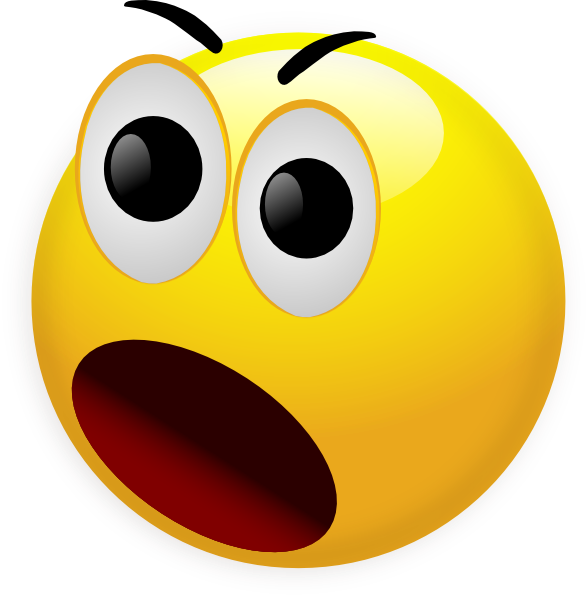 Everything we publish has some element of fantasy, the paranormal, horror, mystery, steampunk, etc. to it. Any given work may, or may not, contain erotica, or other adult content. So, anyone applying for a position as one of our editors, please let us know when you apply if such adult content is something you don’t want to read. That way, if you’re hired, we’ll know not to assign any such projects to you. Hopefully those books will be re-edited, and re-released through a different publishing house. Sadly, it looks as if all of the work that has gone into the comic book spin-off series has come to nothing. The publisher, who was just starting up by launching “Wendy Markland: Chronicles Nocturnum”, seems to not be launching after all. The artist who was doing pencils, inks, and colors for the book also seem to have lost interest in the project. There’s been no word from either front for many months now. Messages from me to them have gone unanswered. So that, as they say, seems to be that for the comic book project. For the moment, anyway. I’ll just keep that in my back pocket. Maybe it can be pulled out, and developed someday in the future. In the meantime, assuming the pre-existing Wendy Markland books named above are re-edited, and re-released as hoped for, Wendy Markland’s adventures will continue in novels. I have ideas for several more books. In addition, I have ideas for several stories that were going to be written for the comic book series. Since it doesn’t look as if that project will happen anytime soon, if ever, those ideas will probably be added to, and developed as full-length novels for the series. Or worked in with other ideas, adding to what I already had planned for future books in the series. Expect more Wendy Markland novellas and/or short stories, too. Some of those unused comic book story plots would be perfect for shorter fiction formats. My newest article for All About Occult, my second one for them, is now on-line. While not as risqué of a topic as my first article for them was, it’s far more relevant to many people. 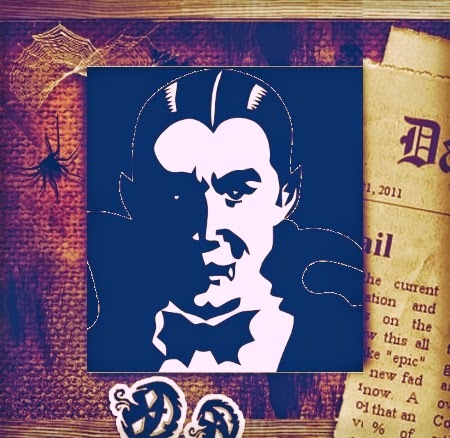 How many people deal with someone they suspect may be a psychic vampire on a daily basis? This interview might help give you some insight into what they’re going through. Based on the answers given by my interview subject, it’s not an easy life! If you have the time, please give the article/interview a read. Comments are already coming in regarding the usefulness of this piece, as well as thanks for having writing it. Also, as I’ve said before, if I’m to continue writing these articles for All About Occult, I need subject matter and topics. If there’s a paranormal topic you’d like to see me write about for the website, please let me know. If it’s something that hasn’t been covered on the site before, I’m clear to cover it. If it’s a new angle, or newer, more up-to-date information on a topic that has already been covered on the site, I’m still okay to write about it. 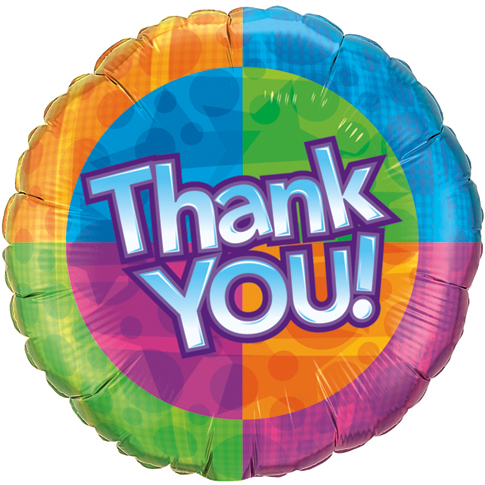 Desirée Lee and I want to extend our heartfelt gratitude to each and every one of you who turned out this past Saturday for the 1st Annual Klamath Library ComicCon. Attendance was fantastic; it was far above and beyond anything that the library had anticipated. Far as know, there were no problems; everyone behaved themselves. The event as a whole was a blast! Desirée and I are also very appreciative of the comments, and compliments we received throughout the day after giving our jointly-presented talk on story plotting as pertaining to short stories, novels, comic books, and film, and the CGI software we use for the creation of “MoonWraith” and “Confluence“. The 1st Annual Klamath County ComicCon was such a success for the library that we’ve already been told to expect a 2nd Annual Klamath County ComicCon next year. if that happens, both Desirée and myself hope to be part of it. Being there this year was a true honor. We met a lot of wonderful people – both attendees, and other guests – and look forward to seeing everyone again next year. Along with those who missed this year, but are able to turn out for next year’s event. Again, we thank you all! Wow! Desirée Lee and I are overwhelmed at the response from the 1st Annual Klamath Library ComicCon event we partook in yesterday. Our thanks to everyone who turned out for the event – not just for us, but for everyone who was there. Our thanks, too, to everyone at the South Suburban Library in Klamath Falls, Oregon for putting this event together. Such things aren’t easy. They take a huge amount of work. Thank you, everyone, for putting the effort into making the event happen. Hopefully Desirée and I can join in next year for the 2nd Annual Klamath Library ComicCon. It was a true honor for us to be included in this years’ event. Being part of next years’ would be just as big of a pleasure for us. Ongoing annual events such as this tend to grow from year to year to year. We look forward to seeing the Annual Klamath Library ComicCon enjoy that sort of prosperity and development. It would be our pleasure to help that to come about, as well. Again, our thanks to everyone for yesterday – pre-existing fans, new fans, people who just stopped to say hi, and everyone else, including the staff at the South Suburban Library! Today’s the day, everyone! 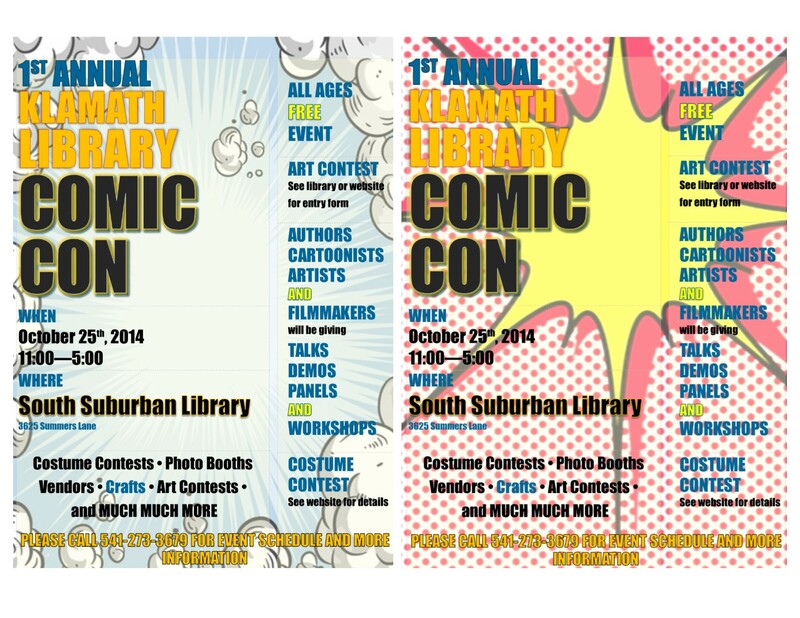 The 1st Annual Klamath Library ComicCon! When? Today, from 11:00 AM until 5:00 PM. Where? South Suburban Library – 3625 Summers Lane, Klamath Falls, Oregon. What’s going on? A lot! My wonderful, talented, gorgeous wife Desirée Lee and I will be there with some of our books, and copies of our new, ongoing, bimonthly comic book series “Confluence“. In addition to selling these, and signing autographs, we’ll be giving a talk on our artwork process for “Confluence”, and our hit webcomic “MoonWraith“, and covering the subject of story plotting as pertaining to short stories, books, movies, and comic books based on our own personal experience and work methods. There will be other celebrity guests in attendance, too. Please see my recent post regarding the press release for the event for a full list of names, and any presentations they will be doing. Also, there will be a variety of contests, and other happenings going on there today. So, please show your support for the arts in general by attending. This is a FREE event. That’s right – no admission fee! We look forward to seeing you there later today!